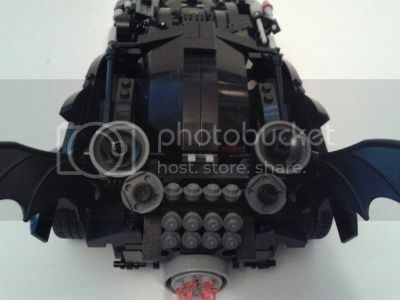 Here's my Lego Movie Batmobile MOC! Can fit 4 minifigs. Turning back wheels moves the flames at the back. Features details like the sub-woofers at the back. Tell me what you think! That looks awesome. It's really close to the movie, well done. Wow so cool! Looks exactly like from the movie! 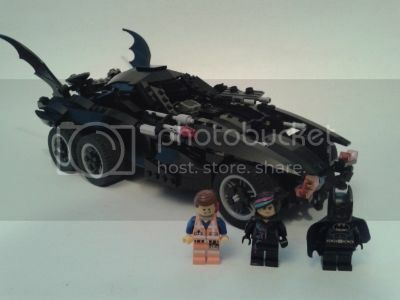 Ave you seen brickmasta batwing yet? 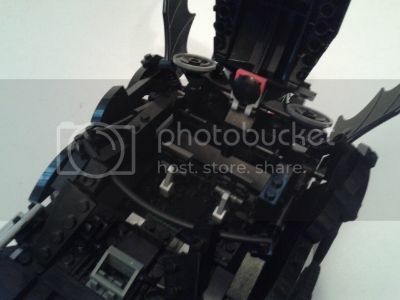 Yes I have, I actually made a Batwing similar to his. Great job, does the movie version justice. Marvelous work, with great care for detail. Superb. Cool, now I can take my time with my version since you already done it ;) Nice job! That is sweet! How long did it take you to build it? Very well done, nice job! Wow! Just wow! 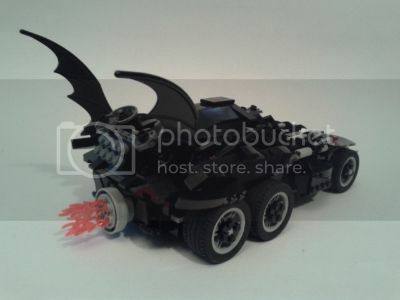 Great bat mobile man! I know Bruce would love it, he and I meet up a lot haha. I call 'em my dawgs! 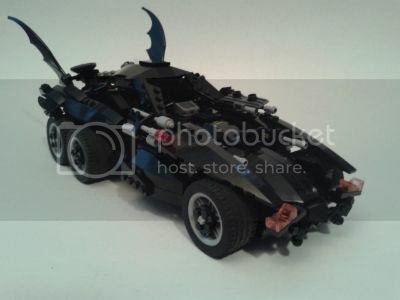 Now, THAT Batmobile is super sweet. The kind you can hug with yer arms AND legs n just feel the beat when the dawgs bark! Wow, Tony Stark! I bet you and Bruce have a lot of discussions that end in lawsuits between DC and Marvel!